WASHINGTON, June 15, 2013 /PRNewswire-USNewswire/ – The US Committee for Camp Ashraf Residents (USCCAR), on behalf of hundreds of Iranian-Americans whose loved ones in Iraq’s Camp Liberty were the target of a massive Tehran-engineered rocket attack today, deplores the US government’s indifference toward a dire humanitarian situation despite its assurances that relocation to Liberty would ensure the safety of the residents. Some 3,100 members of Iran’s principal opposition movement, the Mujahedin-e Khalq (PMOI/MEK) have been living at Camp Liberty since January 2012 after they left Camp Ashraf and following US and UN assurances about their safety and security. About one-third of the residents are women and an equal number are former political prisoners in Iran. Since the first rocket attack on Camp Liberty on February 9th, US families of Camp Liberty residents have held hundreds of meetings with members of the both houses of US Congress – including with senior members of the relevant committees – as well as the Department of State to stress that in absence of any near term possibility of whole-sale resettlement of their loved ones in third countries, Camp Liberty residents must return to Camp Ashraf. 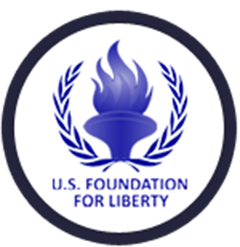 In refusing to take any action to ensure the protection of the Liberty residents, the United States is in breach of its treaty and international obligations as well as its written guarantees to each and every resident in 2004 that it will protect them until their final disposition. As such, we hold the U.S. government responsible for the ongoing humanitarian disaster and ask our representatives to urge the US Congress and Administration to return our loved ones from Liberty to Camp Ashraf.